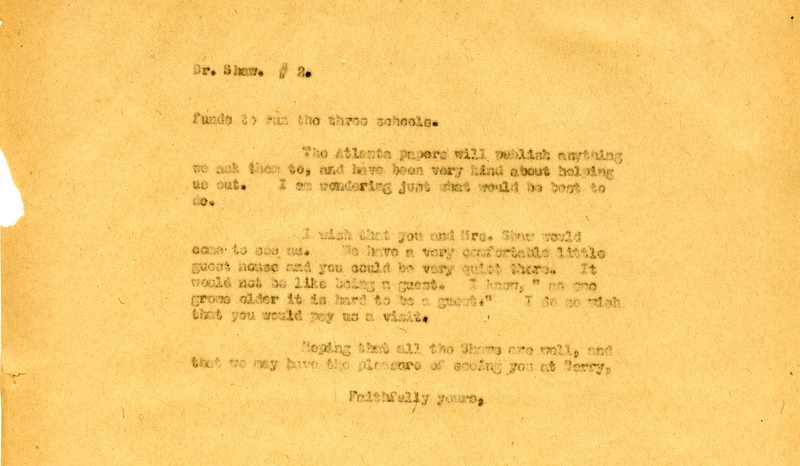 Berry asks Shaw's advice about how to respond to an article from the local paper that misrepresents Henry Ford's support of the school. She hopes the Shaw family is well and able to visit soon. 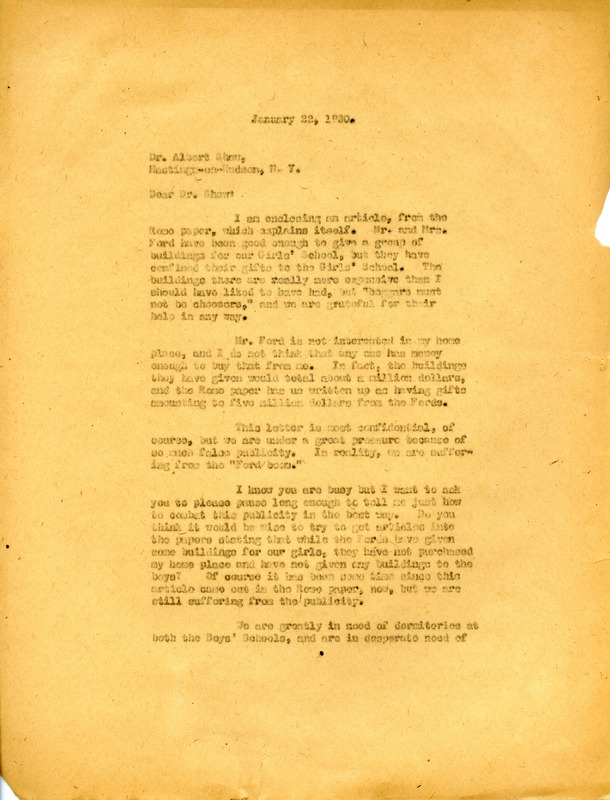 Martha Berry, “Letter to Albert Shaw from Martha Berry.” Martha Berry Digital Archive. Eds. Schlitz, Stephanie A., Jordan Brannen, Sherre Harrington, Meg Ratliff, et al. Mount Berry: Berry College, 2014. accessed April 24, 2019, https://mbda.berry.edu/items/show/13988.